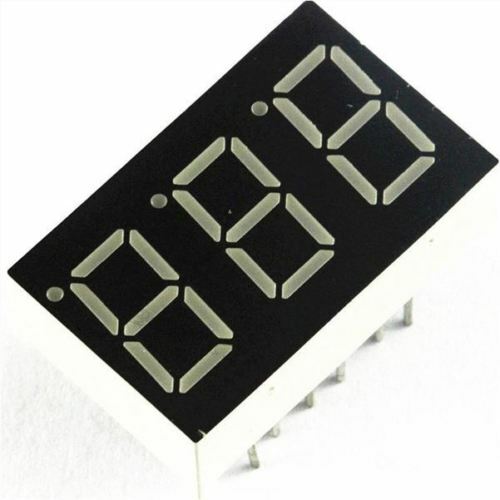 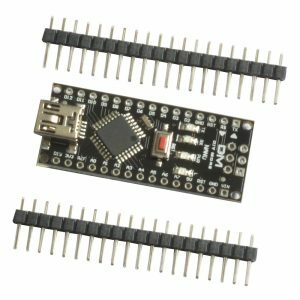 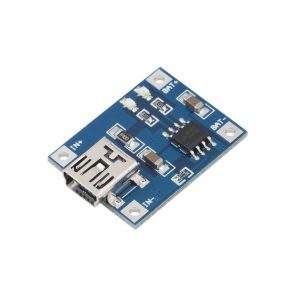 This 0.36 Inch 3 Digit + DP, 7 Segment Display is perfect for visual feedback for your projects. 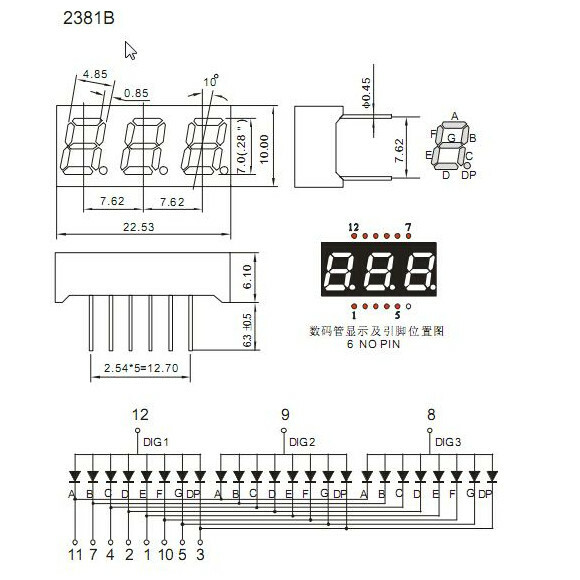 The Red LEDs are in a Common Anode (2381B) configuration, and the display can be driven by a 7 segment display driver, or almost any micro-controller (like the Arduino Nano) using multiplexing. 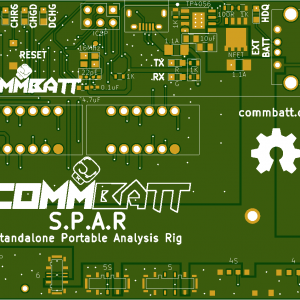 These displays can be used with the CommBatt Kaisi Fixture Mod, to add visual feedback to boards that lack a display.